Weather: Mostly sunny with a high of 72. Wind W 20-25, with gusts to 30 mph. 54-hole cut: With more than 78 players (79) making the 36-hole cut, a 54-hole cut took place Saturday reducing the field to 74 players at 4-over 220 (low 70 and ties). The Wells Fargo Championship leaderboard features an international flavor through three rounds. Here’s a look at international players inside the top 10: Alex Noren (T2, Sweden), Jon Rahm (T2, Spain), Seung-Yul Noh (T4, South Korea), Francesco Molinari (T4, Italy), Byeong Hun An (T8, South Korea), Nick Taylor (T8, Canada). International winners of the Wells Fargo Championship: Vijay Singh (2005) and Rory McIlroy (2010, 2015). With a 5-under 67, Patrick Reed matched Seung-Yul Noh and Dustin Johnson for the round of the day at Eagle Point Golf Club, moving to 8-under 208 and one stroke ahead of Alex Noren (69) and Jon Rahm (69). Reed ranks T70 of 79 players in driving accuracy this week (19 of 42), but first in scrambling (16 of 19). Reed is seeking just his second top-10 finish in 15 starts this season, with a T6 at the SBS Tournament of Champions his best finish. Reed is in search of his sixth PGA TOUR victory in his 139th start. His first victory since THE NORTHERN TRUST in 2016 would come at the age of 26 years, 9 months and 2 days. Reed is hoping to keep a streak alive of improving his FedExCup standing in each season since joining the PGA TOUR in 2013. Currently No. 97 in the standings, Reed finished No. 54 in 2013, No. 21 in 2014, No. 12 in 2015 and No. 3 a year ago. Reed’s T14 at last week’s Zurich Classic of New Orleans snapped a streak of three missed cuts. Reed has yet to miss a cut in five starts at the Wells Fargo Championship, with a T28 in 2016 his best outing. In 2012, Reed successfully Monday-qualified for half of the 12 PGA TOUR events in which he started. He made the cut in five of the six, posting top-35 finishes in four (Zurich Classic ound Notes – 2017 of New Orleans/T24, Wells Fargo Championship/T32, True South Classic/T21, Shriners Hospitals for Children Open/T22). This week marks the fifth 54-hole lead of Reed’s career, most recently finishing T11 at the 2014 Quicken Loans National. He won his first three attempts with the lead going into the final round (2013 Wyndham Championship, 2014 CareerBuilder Challenge, 2014 World Golf Championships-Mexico Championship). Only five third-round leaders of the Wells Fargo Championship have held on for the win; David Toms (2003), Jim Furyk (2006), Anthony Kim (2008), J.B. Holmes (2014) and Rory McIlroy (2015). A year ago, Rickie Fowler (9-under 207) carried a one-stroke lead into the final round over Roberto Castro. Eventual-champion James Hahn was two strokes back. The largest come-from-behind win after 54 holes was in 2005, when Vijay Singh overcame a six-stroke deficit. Only 11 of 24 third-round leaders/co-leaders on the PGA TOUR this season have been able to convert for the win in stroke-play events. Most recently, Kevin Chappell at the Valero Texas Open performed the feat. Noren, a 34-year-old native of Stockholm, Sweden, posted four birdies and one bogey (No. 16) en route to a 3-under 69 to move to T2. He will enter the final round tied with Jon Rahm and one shot behind Patrick Reed. Noren picked up four of his eight international victories on the European Tour in 2016, most recently at the Nedbank Golf Challenge. Noren is making his sixth start on the PGA TOUR during the 2016-17 Season, with a T5 at the World Golf Championships-Dell Technologies Match Play his best finish. Most recently, he missed the cut at the Masters Tournament with rounds of 74-78. Noren is seeking to become the 10th winner from Sweden on the PGA TOUR, and the second consecutive following Jonas Blixt teaming with Aussie Cameron Smith to win last week’s Zurich Classic of New Orleans. PGA TOUR winners from Sweden: Jesper Parnevik (5), Carl Pettersson (5), Henrik Stenson (5), Jonas Blixt (3), Gabriel Hjertstedt (2), Daniel Chopra (2), Freddie Jacobson (1), Richard S. Johnson (1), David Lingmerth (1). A win Sunday would come in Noren’s 29th PGA TOUR start at the age of 34 years, 9 months and 25 days. Noren owns two top-10 finishes on the PGA TOUR: T9 at the 2012 Open Championship and T6 at the 2017 WGC-Dell Technologies Match Play. Noren is seeking to win in his first start at the Wells Fargo Championship. Other champions to do so are Derek Ernst (2013), Rory McIlroy (2010), David Toms (2003; inaugural tournament). List of players who notched their first PGA TOUR victory at the Wells Fargo Championship: Anthony Kim (2008), Rory McIlroy (2010), Rickie Fowler (2012), Derek Ernst (2013). Jon Rahm (T2), who has five top-10s in his last seven PGA TOUR starts, including his first career victory at the Farmers Insurance Open, has opened with rounds of 69-71-69 in his Wells Fargo Championship debut. At 7-under 209, he will begin round four one stroke behind Patrick Reed. Rahm is in search of his second PGA TOUR victory in his 24th start at the age of 22 years, 5 months and 27 days. Should he win, he’d be the second-youngest winner of the Wells Fargo Championship, trailing only Rory McIlroy who won in 2010 at the age of 20 years, 11 months and 28 days. Following his win at Torrey Pines, Rahm collected top-10 finishes in four consecutive starts at the AT&T Pebble Beach Pro-Am (T5), WGC-Mexico Championship (T3), WGC-Dell Technologies Match play (2nd) and Shell Houston Open (T10). Currently No. 4 in the FedExCup standings, Rahm will make his first start in THE PLAYERS Championship next week. Italy’s Francesco Molinari, who held one-stroke leads after 18 holes (6-under 66) and 36 holes (6-under 138), posted a third-round even-par 72 to fall to T4 and two behind Patrick Reed. A win Sunday would come in Molinari’s 99th PGA TOUR start at the age of 34 years, 5 months and 29 days. His best finishes on TOUR, a pair of T3s, came at the 2011 World Golf Championships-Mexico Championship and 2015 Genesis Open. Molinari made a return to the PGA TOUR this season by virtue of a 111th-place finish on last year’s FedExCup points list. Molinari is making just his second start in the Wells Fargo Championship this week (T17/2016). Molinari is making his 12th start of the 2016-17 PGA TOUR Season, where he has now made 11 of 12 cuts. His best finish of three top-10s is a T4 at the Shriners Hospitals for Children Open. Molinari is the winner of four international victories, including the 2010 WGC-HSBC Champions. Molinari’s previous best position following 54 holes on the PGA TOUR was T2 at the 2015 Memorial Tournament, where he followed with a 1-under 71 to finish T3. With a 3-under 69 in round three, Phil Mickelson has played 43 of 55 competitive rounds at the Wells Fargo Championship at par or better. At 4-under 212, Mickelson will begin the final round four strokes behind Patrick Reed. Most top-10 finishes at the Wells Fargo Championship: Phil Mickelson (9), Rory McIlroy (6). Seung-Yul Noh matched Dustin Johnson and tournament-leader Patrick Reed with the round of the day (5-under 67), jumping 30 spots from T34 to T4. Noh is in search of his second PGA TOUR victory (2014 Zurich Classic of New Orleans). Vaughn Taylor (T4) enters the final round two behind Patrick Reed as he seeks his fourth top-10 finish in 12 starts at the Wells Fargo Championship. Should he finish inside the top 10, he will trail only Phil Mickelson (9), Rory McIlroy (6), Jim Furyk (5), Vijay Singh (5) and Lucas Glover (5) for most top-10s at the event. FedExCup leader and World No. 1 Dustin Johnson followed a second-round 3-over 75 with a 5-under 67 (the only bogey-free round of the day) Saturday to move from T56 to T14. His second-round 75 marked his highest score of the 2016-17 PGA TOUR Season (24 rounds) and highest since round three of last year’s Dell Technologies Championship at TPC Boston (75). With rounds of 72-71-75, defending champion James Hahn sits T58 following the third round. Through 54 holes last year, he was two strokes behind leader Rickie Fowler. The best finish by a defending champion at the Wells Fargo Championship is T4 by Rory McIlroy in 2016. Kevin Tway (T8) leads the field through 54 holes with 16 birdies. 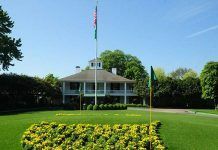 This marks the 60-year anniversary of Arnold Palmer’s victory at the 1957 Azalea Open. The event was held in Wilmington (Cape Fear CC) until 1971. The par-4 11th hole and par-4 16th hole played the most difficult in the third round at 4.329. The par-4 seventh was the easiest at 3.620. Next articleWhy is My Metabolism Slow?